The beginning of the year 2015 found the DVRA with two coordinated pairs one for UHF and the other for VHF, dated equipment, a back-up tower in use for 2 meters and a 440 machine that was out of service! Still we were on the air with 2 meters and the Pepper Net was active nightly at 22:00 hours local keeping the HiProE repeater warmed up and feeling loved. However there where those in the DVRA club that had a vision for something more, something new that was emerging as an alternative to FM voice. Fortunately for our treasurer and the membership Yaesu launched a program to coordinated repeaters operators to purchase their new System Fusion at a fraction of MSRP. That’s when another amazing thing happened – two club members stepped up and paid for a pair of Fusion machines for the DVRA clubs use! Those two machines arrived within weeks of each other and an went on the air within months of each other. Why months you ask? Well that’s another wonderful chapter of this story. New Jersey Broadcasting has divested itself of the programming creation but not the infrastructure and as such is a long time host to various public service repeaters on their towers. So while we waited for the opportunity to piggy back on another high tower job the 440 machine waited for its commissioning. That day came in October and we reactivated the 442.650 pl 131.8 using System Fusion in Auto Auto Model. So the two days to remember are March 14, 2015 and October 22 , 2015 Great days for the DVRA club repeaters rebirth. So what’s in the future you ask? A new tower came our way thanks to the estate of K3WHP (SK) so additional height for the 2 meter machine is in the works as well as new hardline and the possibility of a newer antenna. The controller is standing by for the 2 meter machine and we are in discussion of how best to introduce that to the mix. On the 440 side work continues to tweak the installation. 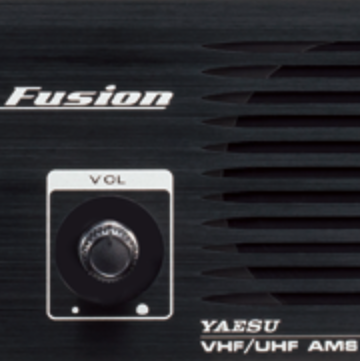 Under consideration is Yaesu WIRE-X to link us to the other Fusion Users via IP and RF working together. So you see that technologically we are on the move as a club, socially as fellow HAMS and always ready to be of service WHEN ALL ELSE FAILS! Next month we will continue to explore the benefits of digital HAM radio in coming issues of Repeater Talk – taking on more and more of the technical side and breaking it down for easy understanding.